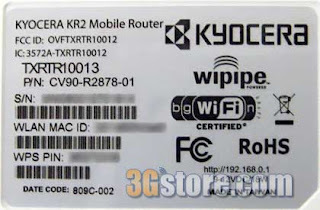 Both Sprint and Kyocera (and many others) have contracted other companies to manufacture routers in the past, but Kyocera is the first to decide to change who makes their next EVDO router (the Kyocera KR2). Sprint has a router in its current product lineup that they contracted Linksys to provide, and in over a year's time there has only two official firmware releases made available. With an adapter sold by Sprint, that router should have been able to support ExpressCards, but only recently did that happen, and for the longest time it only supported Sprint's PCMCIA cards. As capable as Linksys is as a company, one has to wonder why ExpressCards didn't happen until just last February. The latest Linksys firmware now supports Sprint ExpressCards with an ExpressCard adapter (only took a year for that support to be added). Sprint is offering a Sprint labeled version of the PHS300, called the PHS300S. Nearly two years ago, Kyocera contracted D-Link to create their venerable KR1, the top-selling consumer-level 3G router, primarily because its been around the longest. Firmware releases for the KR1 often took months to release after new EVDO devices came to market and some popular cards like the Sierra Wireless AirCard 595/595U, U727 and Franklin CDU680 have never worked with the KR1. For their next 3G routers, Kyocera is the first to turn to Cradlepoint Technologies as an OEM, and we couldn't be happier for all concerned. Cradlepoint has released the MBR1000 - that will serve as the basis for Kyocera's follow-up to their KR1. The new KR2 will differ from the MBR1000 primarily in that it will have a PCMCIA slot for legacy data cards (see Goodbye PCMCIA) that the MBR1000 will not have. Kyocera and Sprint will dictate what EVDO devices their branded units will support and what feature set the new routers will have. For instance, on the Sprint unit, they are not going to spend a lot of time supporting Verizon data devices. If you want to be sure your next router is made by Cradlepoint, look for the "WiPipe" logo. Based on track record of releasing new firmware for their own brand nearly every month, Cradlepoint should have no issue meeting their new client's demands. Even though firmware for the OEM models will be released on client's schedule and not Cradlepoint's, end users of these new routers shouldn't suffer the same endless delays that Kyocera's first routers went through due to DLink Support. How will these new OEM deals affect Cradlepoint-branded products? Well first of all, from Cradlepoint's point of view it doesn't matter really. Every KR2 sold, is still a sale to Cradlepoint. Its Win/Win/Win. 3Gstore.com loves working directly with CradlePoint. We have helped them beta test their latest firmware releases and have helped to suggest new features and improvements to add. They are a top notch organization that actually LISTENS to their customers. 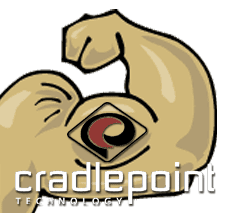 All you need for proof is to check out the CradlePoint Support Forums on EVDOforums. Since CradlePoint is collecting information from multiple sources that means Cradlepoint-branded products will end up being the most versatile units available, and will likely work with almost every conceivable device that gets released by supported 3G carriers. However... everyone should keep in mind that when you purchase your gear from 3Gstore.com, your first line of support are the EVDO Experts in 3Gstore's tech support department. In the end, it looks like everyone comes out winning. Kyocera (and others) get a more responsive OEM to make their new routers... Cradlepoint makes more money and becomes a larger player in the 3G router wars... and 3Gstore customers end up with the best deal of all - superior product selection backed up by unmatched expertise and customer support! Looks like its going to be a very good year for 3G/EVDO routers! Want to comment or read what others have to say on this topic?